Last Weekend The New York Times ran this story in their 'Week in Review' section about anger and political movements in the U.S.; I found the following part especially interesting. "Protest groups that turn from loud to aggressive tend to draw on at least two other elements, researchers say. The first is what sociologists call a “moral shock” — a specific, blatant moral betrayal that, when most potent, evokes personal insults suffered by individual members, said Francesca Polletta, a sociologist at the University of California, Irvine . . . This shock may derive from an image: the horrific posters of tortured animals published by animal rights groups, or of aborted fetuses by anti-abortions organizations, which speak for themselves. 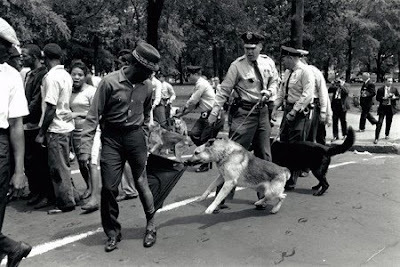 It can also reside in a “narrative fragment,” like the Rodney King beating, which triggered a riot all on its own. The second element is a specific target clearly associated with the outrage. A law to change. A politician to remove. A company to shut down. “If the target is too big, too vague — say, the health care bill, which means many things — well, then the anger can be hard to sustain,” Dr. Polletta said. “It gets exhausting.”"
Pointing to "the second element" - that political protest thrives with a focal target - is a platitude. However, the claim regarding "the first element" - about the impact of images - is less so and, I think, potentially important. Here are some obvious questions, though: Can images actually convey 'moral shock'? And, do images of any sort "speak for themselves"? I am dubious about both claims. The latter seems to me to be simply false. The former is at least questionable. But the theme is worth pursuing. Edina, Minnesota, 1998" (31 March 2010). Well, I am in San Francisco hanging with my youngest son August. We just went to see How to Train Your Dragon, which is a reminder that capitalism is not all bad. We'll leave the movie review for another time. What I wanted to call your attention to is this book by a former student of mine, Joe Heath. I just saw the advert today and so have not read it. But on the way home from the theatre I stopped to pick up a copy. It looks good and I am sure that it will be infuriating since Joe seems to give equal time to deflating various "fallacies" of the right and the left - which is a good thing, I suppose. In any case, Joe is smart and witty and sensible in many ways. And, as a philosopher writing about economics, he is taking back some of the intellectual terrain that the professional economists have arrogated to themselves. That is a good thing too! The problem? They look like "us!" This is the face of Christian fundamentalist terrorism in the U.S.; of course you won't hear the 't-word' used by, say, The New York Times. For the putatively liberal media, the "Hutaree" remain "apocalyptic Christian militants" not a terrorist outfit aiming to kill law enforcement officers and, thereby, hopefully, to foment revolution! The folks at The Times tie themselves into knots denying that this is political extremism: although the terrorists "were plotting to kill law enforcement officers in hopes of inciting an antigovernment uprising" they were "motivated by apocalyptic religious scenarios more than any secular political fears." Right. If Islamist fundamentalists were indicted for exactly the same activities the press would be having a field-day. But these salt-of-the-earth white Americans surely couldn't be terrorists could they? Jim Marshall, famous for his photographs of musicians including this one of Johnny Cash, has died. You can read obituaries here and here and here. I came across this story at The Washington Post on singer Gloria Estefan (among others) and the protests she (and they) has coordinated in response to official repression of opposition politics in Cuba. Specifically, Estefan was responding to the Cuban regime's repressive response over a number of years to protests by the "Damas de Blanco" (Ladies in White) a group of women whose sons and husbands have been imprisoned since 2003. You can read some of the background on this situation here in this report from Amnesty International. A few questions strike me as important here. First, it goes without saying that the Cuban regime is acting badly in all this and that that is part of an ongoing pattern. 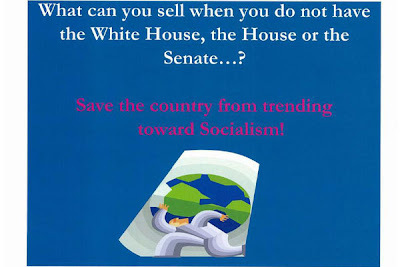 Will 'progressives' in the U.S. speak out on this? In short, do they see human rights as 'universal' or only as a stick with which to beat the right wing regimes? The second thing is that it is pretty amazing how the Cuban American community is able to reply to this sort of rights violation; I wonder whether they mobilize around similar instances of political repression elsewhere? (For instance, consider the anti-slavery campaign that the Coalition of Immokalee Workers is now waging right there in Florida; have Cuban Americans expressed their solidarity in an organized way with political-economic oppression the occurs closer than 90 miles away from Miami?) In short, do they see human rights as 'universal' or only as a stick with which to beat the Cuban regime? Just wondering. Finally, for those who seek to gerrymander art and politics in some strict way, does this count as a border violation? Or is it simply efforts to connect art and politics from the left that draw your ire? You can put this into the 'ya couldn't make this stuff up' category. . . . According to this report in The Guardian, the Pope has announced - in response to criticism of his despicable failure, over the course of decades, to protect children from molesters among the clergy - that his oh so pure faith affords "the courage of not allowing oneself to be intimidated by the petty gossip of dominant opinion." That is precisely the sort of thing Jesus would not say. To call the well established fact of priests - including those directly under his command - exploiting children "petty gossip" suggests to me that the Pope is massively out of touch with reality. He ought to be removed from office. Oh yeah, the church is not exactly a democracy. "As archbishop, Benedict expended more energy pursuing theological dissidents than sexual predators. Already in the early 1980s, one could catch a glimpse of a future pope preoccupied with combating any movement away from church tradition. Vatican experts say there is little evidence that Benedict spent much time investigating more than 200 cases of “problem priests” in the diocese, with issues including alcohol abuse, adultery and, now under the microscope, pedophilia." This paragraph from this story in The New York Times hardly comes as a surprise. Most of the church hierarchy was indifferent, at best, to the sufferings the clergy (including nuns) imposed on children. I spent most of my childhood in repressive Catholic Schools. And I witnessed a progressive priest being hounded out of our Parish too while the besotted Monsignor . . . My parents thought it was good for me and, while not in the intended way, it was. The only difference between the now Pope and the rest of the hierarchy is that he succeeded in the church politics and is now at the top of the apparatus, still bent on hunting down heresy instead of protecting the innocent. I will say that anyone who doesn't find the excuse that he simply 'overlooked' plain evidence of child molesters under his command is beyond help. His actions then were despicable and the rationalizations for his failings now being offered make me ill. Believers are fond of asking "What Would Jesus Do?" Despite his purported intellectual prowess and proclivities, the Pope shows no signs of knowing the right answer to that question. Read this report in The New York Times. Ask yourself why the Republican political establishment - elected and otherwise - is not falling over themselves to condemn threats of violence. I find it especially disgusting that my own Congressional Representative "Louise M. Slaughter, a senior Democrat from New York, received a phone message threatening sniper attacks against lawmakers and their families." 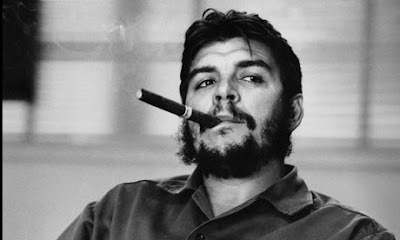 (133) René Burri ~ Che Guevara (24 March 2010). This is a mug-shot of a liar. 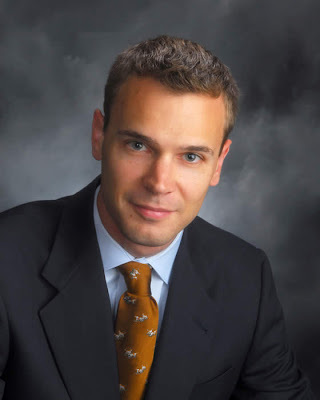 His name is Kyle Olson, a political extremist who runs this outfit. Among his recent escapades has been participating eagerly in a right wing campaign* to slander and intimidate Francis Fox Piven, a fellow political scientist. I disagree with Piven on many things but we agree on the importance of free and open inquiry. That is where we part company with liars like Olson who deceived Piven in order to enter her home and videotape an interview. You can read the details here at The American Prospect. Kyle has not got the courage of his convictions and that should be a cause for embarrassment on the right. Unfortunately, it is not. Just as they celebrate nepotism (while deploring the way affirmative action - always said with a sneer - allegedly offends against merit) they seem totally comfortable with duplicity. I guess the right has decided that the ends justify the means. I don't read Doonesbury much - but Trudeau seems to be focusing his wit on the knuckleheads. Last weekend it was the tea-party contingent. Both strips © Gary Trudeau .... you can find the strip here. I presume this one will go on a few days. And I suspect the guy in the red plaid shirt is pretty much the median gun-toter on line for a soy latte - a 50 year old whose store of adjectives runs out with "Awesome." Update: Here is a post-appointment interview with Tufte from npr. What Does the Still Photo Still Do Best? I read this piece in The New York Times today and wondered why they printed it. Yes, there are lots of really good photojournalists out there. And, yes, there are lots of people with cell phone cameras too. And lots of web sites also. And ..... Well the folks at The Times seem to have had column inches to spare today. That is the only explanation for running this vacuous essay. Historian Linda Gordon, according to this report, has won the Bancroft Prize for her terrific biography of Dorothea Lange. I noted the imminent appearance of the book last summer and have since read it. Two points that Gordon highlights in her discussion of how Lange helped invent documentary photography seem important to me. The first is that Lange came to documentary work from a successful career as a portrait photographer. Gordon suggests that she democratized the practice of portraiture by photographing working people with the same artistry and technique she had used on her wealthy clients. Conversely, Gordon stresses that Lange quite consciously came to focus her 'documentary' photographs on individuals because she believed that that was the most effective way to generate an active political response in viewers. The second point is that Roy Stryker - Lange's boss when she worked for the FSA - contributed to the gerrymandering of photography into "art" and "documentary" mostly for partisan political and bureaucratic reasons. "He could not justify his budget if the funds went toward creating art . . . To repel political attacks, he had to ban 'artifice' in the making of photographs ...". So, just as Walker Evans and his allies were campaigning to establish the claims of photography as art, Stryker was actively creating the contrasting category of documentary. That dichotomy, which I think is more or less wholly unsustainable, continues to haunt - and hinder - discussion of photography and its uses today. In any case, the Gordon book is a useful and insightful read. I highly recommend it! 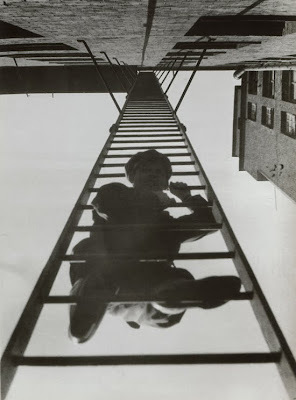 Fire-Escape (from the series “House on Myasnitskaya”), 1925. 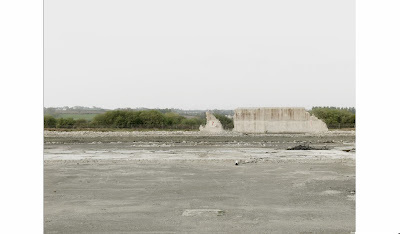 French photographer Sophie Ristelhueber has won the 2010 Deutsche Börse prize. You can find a report here. This has prompted Sean O'Hagan, photo critic at The Guardian, to renew his lament that “the Deutsche Börse judges have shown a distinct bias for a certain kind of conceptual art photography that might be better suited to the Turner prize shortlist.” The problem with this attempted gerrymander is three-fold, at least. First, as I mentioned in this earlier post, responding to an earlier iteration of his complaint, O'Hagan doesn't seem to grasp what actually has happened in the selection process over the past few years. To save you having to follow the link, I pointed out that "Robert Adams won the prize in 2005. Esko Männikkö was picked in 2008 from a largely traditionalist short list. And last year the list was similarly recognizable." Conceptual Art? Not hardly. Second, in the same post I suggested that O'Hagan seems to have a naive view of the purpose of prizes - they are, on my view, largely about agenda setting in one or another way. He seems to think there is some nefarious move afoot to subvert the claims of "traditional photographs." In a remarkably un-self-reflective way he fails to notice that his own complaints are attempts at agenda setting of just the sort for which he criticizes the judging panel. Would he, for instance, suggest that, say, Rodchenko or Man Ray not have been plausible candidates for a prize of this sort? Finally, if we think more about photography as a way of doing things - say, following Patrick Maynard, as a technology that allows us to mark surfaces and thereby enhance and amplify our ability to see or imagine - then the defensiveness O'Hagan evinces is misplaced. There is no need to define the remit of a photography prize conservatively as being bestowed on someone for creating pile of photographs. We might instead simply see the point of such awards - at least in part - as recognizing creative uses of photographic technology for whatever the purpose might be. 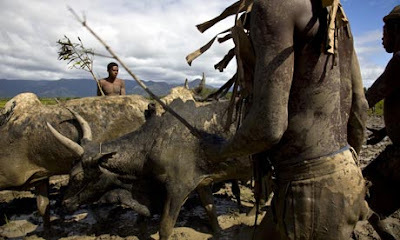 (132) Ed Kashi ~ Rice-planting Madagascar style … (17 March 2010). Photographer Charles Moore, best known for his depictions of the African-American struggle for civil rights, has died. You can find the obituary in The New York Times here and a remembrance at npr here.
" The Army doctor who opened fire at Fort Hood. The man who flew a plane into the Internal Revenue Service offices in Austin. The professor who killed three colleagues in Alabama because she had been denied tenure. " "Here was our next active shooter, mentally disturbed and with an anger that had metastasized into a justification to attack the Government, often the catch-all phrase for the oppressor, the deceiver, the denier of dreams. In this view, it seems, the Government is made of paper, concrete and whispers." What is wrong here? Well, in the first instance, the female academic in Alabama was perhaps disturbed, but she did not (to the best of my knowledge) compose an anti-government screed before shooting her colleagues. She was pissed at having been denied tenure. She may have been deranged, but there is no evidence that her grievance was anything other than personal. On the other hand, the other three - all men - fall into a lineage of domestic terrorists who decide that there is some reason to turn their imagined grievances into political violence. They may be mentally unhinged, but they are not just unhinged. They are unhinged men who do a typically right-wing and typically destructive and self-destructive thing. A while ago I noted this post and this one, by Glen Greenwald at Salon.com; there is a more recent follow-up here. Greenwald poses the pertinent questions 'Why do our government and law enforcement officials and our press not call things by their proper names? Why do they refuse to call violent, anti-government extremists what they are - namely terrorists? More basically, given that they all flaunt the 't-word', what exactly are they talking about? I guess the folks at The Times have not asked themselves that yet. 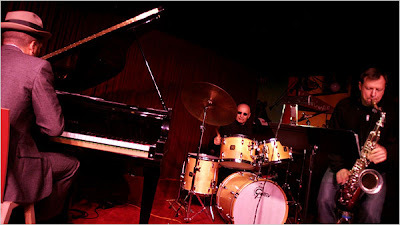 Paul Motian Trio at the Village Vanguard, February 2009. Photograph © Hiroyuki Ito/The New York Times. I have posted here several times about drummer Paul Motian and his music. Here is an interview with Motian that WNYC broadcast last week. It gives me an excuse to come back and talk again about his newly released trio album. The music, on which Motian collaborates with pianist Jason Moran and tenor saxophonist Chris Potter, was recorded live at the Village Vanguard last year. I'd been waiting for the record to turn up and it finally arrived a couple of days ago. I've been playing it more or less non-stop. (Susan is being quite patient!) So, I thought I would share one of the numbers the trio performs. Paul Motian Trio, "Blue Midnight" from Lost in a Dream (ECM, 2010). "The countries that have left the United States behind in math and science education have one thing in common: They offer the same high education standards — often the same curriculum — from one end of the nation to the other. The United States relies on a generally mediocre patchwork of standards that vary, not just from state to state, but often from district to district. A child’s education depends primarily on ZIP code. That could eventually change if the states adopt the new rigorous standards proposed last week by the National Governors Association and a group representing state school superintendents. The proposal lays out clear, ambitious goals for what children should learn year to year and could change curriculums, tests and teacher training." Those are the opening paragraphs of this editorial at The New York Times today. The folks there are very enthusiastic about the newly proposed standards. Let's just say I am dubious. I don't know the details of the proposal the editorial endorses. One can only imagine. But I have some views about the general, persistent, wrong-headed clamor for standardization. First, it may well be true that a "child's education depends primarily on ZIP code." But the most obvious way that dependence occurs is in terms of financing. In the U.S. we rely on local property taxes to fund schools. The resulting inequalities are shameful. Standards will remedy neither that underlying problem nor the educational s it generates. What might is an overhaul of educational funding. If you are searching for something to make uniform, to standardize, nationalize the formula for education expenditures per pupil. Second, I've not checked, but will give odds that the "countries that have left the United States behind in math and science education have" more than "one thing in common" beyond national education standards. I will bet the vast majority also have considerably lower rates of childhood poverty. I'll bet too that they have considerably less dramatic inequalities in the distribution of wealth and income. Go look. You can read the results into my first point. But let's not follow the money. Surely, that would be too crass and would lead conservatives to crow that I simply have low expectations for poor kids and the schools that serve them. Pointing out that educational attainment reflects economic inequalities is simply an excuse, right? Wrong. The first thing to note is a bit of rhetoric. Proponents of national standards, and the institutional uniformity - in terms of curricula, testing, teacher training - they would impose, engage in a none-too-subtle bit of persuasive definition. Their proposal is for "standards," making them hard-nosed and realistic. By contrast those of us who think that program of reform is misguided must, of necessity, be opposed to standards, right? Hence we support what? Laxity, coddling students, soft-headedness? No, we support democracy and educational attainment. The language of conservative reformers seeks to hide that. "Even in the hands of sincere allies of children, equity, and public education, the current push for far greater standardization than we’ve ever previously attempted is fundamentally misguided. It will not help to develop young minds, contribute to a robust democratic life, or aid the most vulnerable of our fellow citizens. By shifting the locus of authority to outside bodies, it undermines the capacity of schools to instruct by example in the qualities of mind that schools in a democracy should be fostering in kids–responsibility for one’s own ideas, tolerance for the ideas of others, and a capacity to negotiate differences. Standardization instead turns teachers and parents into the local instruments of externally imposed expert judgment. It thus decreases the chances that young people will grow up in the midst of adults who are making hard decisions and exercising mature judgment in the face of disagreements. And it squeezes out those schools and educators that seek to show alternate possibilities, to explore other paths. The standardization movement is not based on a simple mistake. It rests on deep assumptions about the goals of education and the proper exercise of authority in the making of decisions– assumptions we ought to reject in favor of a different vision of a healthy democratic society." On the view Meier advances - and that she and others have implemented, repeatedly, in innovative schools located in decided un-affluent neighborhoods** - standards and the alternatives that ground genuine school choice emerge from local debates about the aims and organization of education. What she argues for are the sorts of standards that experimentation generates and it is difficult to see how standardization will promote that. "The distinguishing traits of such a form of education are to be analytical and problematic rather than informational; to prefer exemplary selective deepening to encyclopedic coverage; to encourage cooperation rather than isolation or authoritarianism, in learning and teaching; and to proceed dialectically - that is to say, by the exploration of contrasting methods and views rather than by appeal to a closed canon and right doctrine." I suspect that this broad set of features is not what the conservative reformers who peddle standards have in mind. But Unger surely would agree with Robert Moses about the need to teach kids - all kids - algebra, not because they need to know algebra per se, but because learning algebra affords them practice in the sort of abstract thinking that is required if they hope to be productive citizens and creative workers capable of navigating the increasingly treacherous labor market. As Meier proposes, it might be that learning statistics could perform a similar function. The point is that mathematical literacy is important not just for its own sake but because it has political and economic consequences. Oh, and finally, the folks at The Times editorial page might try reading their own paper. In recent weeks the news on the "education" pages has highlighted: (i) The apostasy of Dianne Ravitch, one of the leading proponents of conservative educational reform, who's become persuaded that the reform agenda she preached is deeply misguided. The source of her change of heart? She apparently looked at the evidence. ; (ii) The financial disaster in Kansas City Missouri and its effects on the public schools - especially on the matter of school size (conservative reformers typically discount the importance of small schools and small classes) and racial and political-economic inequities. ; And (iii) the concerted efforts of conservative fundamentalists in Texas to hijack educational standards in pursuit of a reactionary ideological agenda . Thus far all I've suggested is that "standards" proposals are deeply flawed even when properly implemented. Let's not forget that - in the real world - they are ripe for precisely this sort of abuse as well. * Deborah Meier, et. al., 2000. Will Standards Save Public Education? Boston: Beacon Press, and Deborah Meier. 2002. In schools we trust: Creating communities of learning in an era of testing and standardization. Boston: Beacon Press. ** For example, Deborah Meier. 1995. The Power of Their Ideas: Lessons for America from a Small School in Harlem. Boston: Beacon Press, and Robert Moses. Radical Equations: Civil Rights from Mississippi to the Algebra Project. Boston: Beacon Press. *** Roberto Mangabeira Unger. 2009. The Left Alternative. Verso. The Mosque of Istiqlal, Jakarta, Indonesia, 1996. 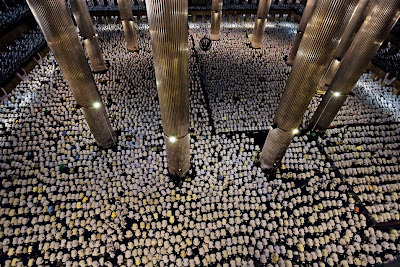 The National Mosque in Jakarta, Indonesia, 2009. Photograph © James Nachtwey/National Geographic. This post is a follow-up to this one - hence the (again). I am preparing a talk and came across the Salgado image which I do not recall having seen before. It reminded me of the Nachtwey image on which I commented here a few months ago. In any case, the confluence allowed me to come back to the topic and refer readers to the Posner book from which I've properly quoted and which I have (properly) cited. (I have altered the passage to substitute 'viewer' for 'reader', which is in keeping with what Posner himself allows.) Mostly, I think Posner pushes us to recognize that the recent fracas about plagiarism in photography is - in legal terms at least - much ado about not very much. Did Nachtwey (or, in my earlier post, Rai) set out to reproduce Salgado's photographs? The later images are in neither instance identical to the earlier ones. But the vantage point and subject matter and impression are virtually the same. Yet there is no reason to allege deceit in either case. Would you not buy Nachtwey's (or Rai's) image if you discovered Salgado's? There is no reliance in either case either. As I remarked in the earlier post the history of photography is replete with convergences like the ones I note. "By far the most common punishments for plagiarism . . . have nothing to do with law. They are disgrace, humiliation, ostracism, and other shaming penalties imposed by public opinion on people who violate social norms whether or not they are also legal norms. . . . The stigma of plagiarism seems never to fade completely, not because it is such a heinous offense but because it is embarrassingly second rate: its practitioners are pathetic, almost ridiculous." Posner concludes that mockery and disdain - not legal action - are in most instances the proper response to plagiarism when it is suspected. I agree. But that creates an immense burden. When thinking about behavior of various denizens of the art world, how are we to pick out the egregiously second rate, pathetic and ridiculous from that which is simply run of the mill? * Richard Posner. 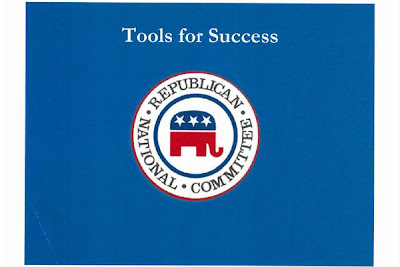 The Little Book of Plagiarism. New York: Pantheon, 2007. As a follow up to this post yesterday, and to a couple of others from earlier in the year, I want to recommend this short video interview with Don McCullin at The Guardian. I thank Tim Atherton for bringing it to my attention. In general, McCullin's reflections - the straightforward moral seriousness with which he speaks of his life and experience - really do challenge those who treat photographers of war and disaster as ethically defective. More specifically, it makes me wonder whether Sean O'Hagan recalls having spoken with McCullin a month or so ago. If so, I am not sure how he could have written the column I criticized yesterday. It is all a bit mystifying. It appears that Annie Leibovitz has avoided complete financial disaster. Although she has been as irresponsible" as many less renowned people who do not get bailed out by wealthy benefactors, this is a good outcome. And, as in past posts on the saga  , I still wonder why The New York Times continues to insist on classifying this as a story about the arts rather than as a story about economics. From: Stoned to Death, Somalia, 13 December. Photograph © Farah Abdi Warsameh/AP. Today The Guardian carried this column by Sean O'Hagan on the morality of photojournalism. His ruminations were prompted by this series of photographs by Farah Abdi Warsameh that won 2nd place in the "general news" category at the World Press Photo awards. (I've lifted one of the photos above.) The photos show a man being buried up to his chest and then stoned to death by a group of masked men. The man who was killed (should we say executed?) was named Mohamed Abukar Ibrahim and he had confessed to committing adultery. The judgment and execution, according to news reports, were carried out by an armed fundamentalist rebel group called Hizbul Islam. The rebels forced hundreds of local residents to watch the performance. I say performance because this is clearly political theater - horrific, no doubt - but no less theatrical for that. The rebels - who are party to a proxy war in the failed state known as Somalia - are trying to pacify the locals by terrorizing them. "There is shame as well as shock in looking at the close-up of a real horror. Perhaps the only people with the right to look at images of suffering of this extreme order are those who could do something to alleviate it … or those who could learn from it. The rest of us are voyeurs, whether or not we mean to be." This is Sontag at her most ridiculous. But even by these standards there is a case to be made for publishing these images. Might it not be possible that viewers "could learn from" them? We could learn that this was a terrorist act. We could learn that the 'government' against whom the rebel groups is, in fact, rebelling is sponsored by the U.S. and other western nations. We could learn how quickly many of our fellow citizens were willing to use these images to condemn "Islam." I'm sure O'Hagan could come up others if only he'd stop wringing his hands and ask questions. Well, it is that time of year again. Here is my oldest son Douglas - #23 in purple on the far left - on the field this past weekend (this is a "spring" sport in name only; notice the snow in the background!). Doug is a great guy, a good teammate and - as it turns out - a budding photographer. He shared some of his photos with me last week and I was pretty impressed. And I say that in full recognition of the creativity deficit he has inherited from me. What a challenge! In any case, I have said it before and things have not changed ~ I could not be prouder of my son. On the down side, Nazareth lost the game to Geneseo 9-8 in overtime. 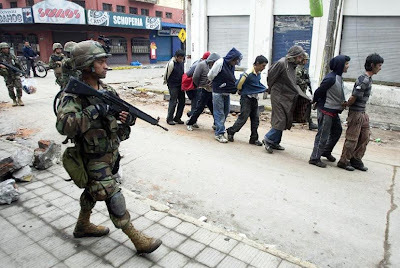 Situation getting out of control in Chile’s second largest city. Photo credit. "Soon after almost every disaster the crimes begin: ruthless, selfish, indifferent to human suffering, and generating far more suffering. The perpetrators go unpunished and live to commit further crimes against humanity. They care less for human life than for property. They act without regard for consequences. I’m talking, of course, about those members of the mass media whose misrepresentation of what goes on in disaster often abets and justifies a second wave of disaster. I’m talking about the treatment of sufferers as criminals, both on the ground and in the news, and the endorsement of a shift of resources from rescue to property patrol." "Nonetheless, a pattern that now is a cliché of disaster journalism broke out there as well: Early reports of people raiding markets for food and diapers were quickly followed by pictures of people carrying TVs and dishwashers off into a city with no electricity. Intact stores were broken into. A department store in Concepción was set ablaze. In a few places, roving bands robbed anyone they could. Residents who formed self-defense posses were quoted saying that the “human earthquake” was worse than the geological one. By midweek, with thousands of troops deployed, the pictures began shifting: young men spread-eagled on the ground with gun muzzles pressed behind their ears. All in all, it sounded a lot like Haiti. Or like New Orleans after Hurricane Katrina. Or like Dayton, Ohio, after the 1913 flood. Or like Rome in 410. It is hard to name a single disruption in the social order, natural or man-made, that has not triggered looting somewhere. [. . .] Though looting starts spontaneously, how quickly it stops appears to depend on how rapid and severe a response it meets. That, in brief, is the argument for using force decisively." That what McNeil reports is "a cliché of disaster journalism" seems lost on he and the editorial page crew at The Times. Does he question the cliché? Or, does he presume that journalists and their enabling editors and publishers, who nicely conform to the stereotype that Solnit identifies, are getting the story "right"? Professional courtesy, I suppose. As a start toward thinking rather than regurgitating clichés, McNeil might have read this report from his own paper which suggests that in "New Orleans after Hurricane Katrina" what he calls "the argument for using force decisively" appears, simply put, to have been little more than a rationale for murder and cover-up. The alleged perpetrators are not "looters" but the officers from NOLA police department. Moreover, as these reports   from The Nation suggest, the police were hardly the only ones who may have acted murderously. By peddling clichés, The Times is directly perpetuating the distorted ideas that elites use to rationalize violence and panic. There is much hysteria these days about government deficits. 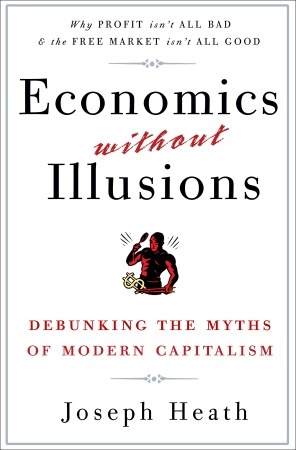 There also are sensible economists who are seeking to dampened that hysteria. Among them is James Galbraith - you can read his most recent take on the "crisis" here at The Nation. The approximate punch line? ". . . the deficit phobia of Wall Street, the press, some economists and practically all politicians is one of the deepest dangers that we face. It's not just the old and the sick who are threatened; we all are. To cut current deficits without first rebuilding the economic engine of the private credit system is a sure path to stagnation, to a double-dip recession--even to a second Great Depression. To focus obsessively on cutting future deficits is also a path that will obstruct, not assist, what we need to do to re-establish strong growth and high employment." The real political problem, of course, is that the Obama administration is listening only with its right ear. Photograph © Alberto Díaz "Korda" Gutiérrez. 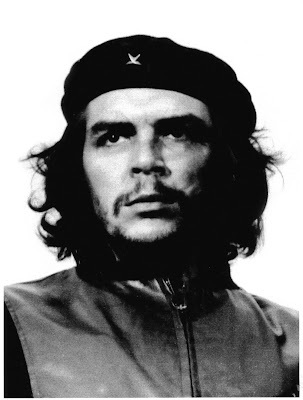 So, according to this report in The Guardian, the heir of Alberto Díaz "Korda" Gutiérrez, who made this iconic photo of Che Guevara is seeking to engage in some socialist style "brand management." This, I suppose, is the converse of the irony of various capitalist entrepreneurs plastering the revolutionary's visage on all sorts of commodities. "So, A Priest, a Rabbi and an Imam Run Into One Another on the Street, and the Priest Says to the ..."
From the 28 Millimètres project. Photographs © JR. I have on several occasions commented on the work of a young, 'anonymous' French photographer who goes by the initials JR. This morning The Guardian has this short story on he and his work. I have to say that the work is growing on me. Among the things for which Amartya Sen won the Nobel Prize in Economics was research demonstrating that famine is a political-economic not a "natural" phenomenon. In his research he shows that famines typically occur not because there is an absolute lack of food (hence the seeming paradox that sometimes countries experiencing famine actually also are exporting foodstuffs) but of access to food where access is determined by institutions (e.g., markets, property rights, and so forth). In The Guardian today is this report on what looks to me like what will turn out sooner rather than later to be a disastrous situation in various African nations as food becomes an export while domestic populations confront severe food insecurity in one or another form. The underlying problem is that markets - for land or water or labor - don't work in attractive ways in the face of extreme resource asymmetries. 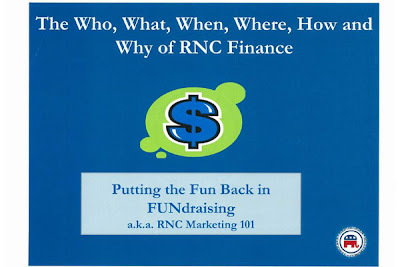 Conservative Voters: What the RNC Really Thinks About You! 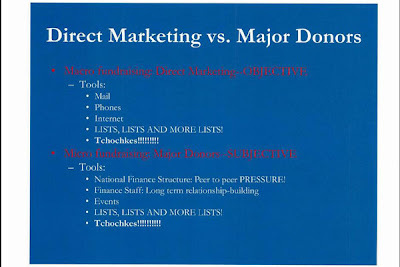 The Republican National Committee held a $2500 per head training session for fundraisers and used this set of Power Point slides to instruct them. Let's set aside production values. 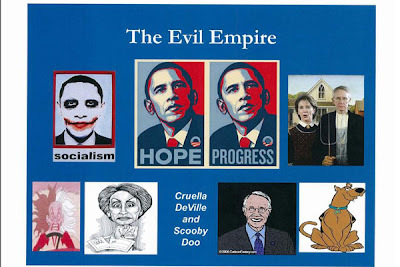 And let's set aside the hyperbole about saving the country from "socialism" as well as the tendency to caricature a black man in the way the images do. Finally, let's set aside too the ineptitude of leaving this lying around the conference hotel so that someone could pick it up and send it to the nice folks at Politico who could then write this story on the topic. It is difficult to decide whether all that is comical or just pathetic. What is truly remarkable is that the Republicans who regularly go out of their way to suggest that Democrats are elitist, Volvo-driving, latte sipping wimps (hence the penchant of right wing nutters to show up at Starbucks packing sidearms) have a view of their "base" that is so thoroughly condescending and insulting. 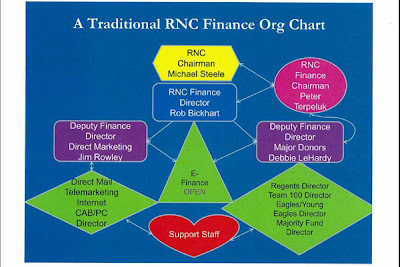 The RNC plan? Rely less on large donations from wealthy egomaniacs and try instead to elicit lots of modest contributions based on the visceral fear that party operatives and their media mouthpieces might stir up among reactionary voters. Notice, by the way the Randian imagery - you know Atlas, the symbol of intellectual elites, balancing the world on his shoulders. I suppose the reactionaries at the RNC of tired of that posture and instead of going on strike, they hope simply to exploit the unstable emotions of the simple folks. Democrats are elitist? The Olympics are Over. Could the Wheaties Boxes Be Far Behind? Regular readers will know that I complained about the flag waving American (mostly) medalists in Vancouver   . Well, just as I suspected, the commercial train has left the station - see the report here. 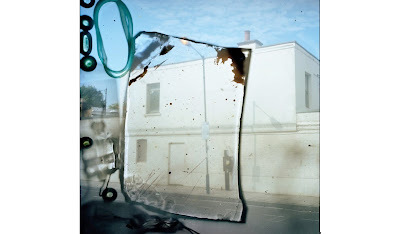 (130) Stephen Gill ~ A Hackney Street (3 March 2010). I've never been in the military. Neither has my father, nor was his father before him. Some of that is simply fortuitous. My Dad had a health deferment during WWII. Had the draft lottery not been canceled I'd have likely died in Viet Nam. I hope neither of my surviving sons ever join up or are compelled to do so. It is not that I don't want them to find some way to do good in the world. In fact, it is precisely because that is what I want for them - to have the opportunity to do good things - that the military seems a terrible option. Wars are sometimes necessary (although Obama's attempt to paint the Afghanistan debacle in that light is a bad joke) to prevent or end some bad thing. Preventing bad things from happening is not the same as doing something constructive and good. "War movies in general are great for what they are: entertainment. . . . But of course there is a darker side. These movies glorify a situation that has no real glory in it. Turn to one of your relatives or friends who has been in combat and ask them what they think of war. I am sure that they will tell you that it is scary, gruesome and requires extreme intestinal fortitude. There are no Sgt. Strykers or Gunny Highways in the real Corps. We don’t have a director who can step in when all hell is breaking loose and yell, “Cut!” . . . Please remember that when you watch a war movie you are watching stories about young Americans who went far from home and risked their lives; some of them died there with only their brothers in arms to witness. Hollywood is now taking our money by walking on their graves. Maybe that’s extreme. Of course I understand why people watch war movies. I watch them, too. But I have seen my friends die and most of the movies just bring up very painful memories." And, no, the piece was not written by some commie pinko. It was written by a guy who comes from a lineage of Marines, was a Marine himself, and nearly died in Iraq. I only wish some of our bellicose conservative cheerleaders, way too many of whom have never stepped near a battlefield, could see half as well as this guy. 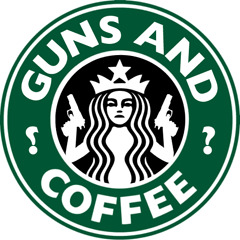 A Rant About Guns and Stupidity ~ Coming to a Starbucks Near You! Last year I read a series of reports in The New York Times     about the pastor of an evangelical congregation in Kentucky who was encouraging not just gun ownership, but actively inviting his congregants to wear sidearms to church. And, of course, in Tennessee and Arizona the authorities have passed laws  allowing concealed weapons in bars, so long as the bearer of arms refrains from drinking (of course, if a customer has his weapon concealed isn't there some sort of problem identifying who should be refused service?). As a writer for The Times quipped, by imposing that restriction the new laws were successful primarily at "in effect, creating a new category of customer, the designated shooter." I have written about what I take to be the lunacy of gun ownership here many times before. It is not so much that I am opposed to guns and gun owners. I live in an area where lots of people own guns for hunting. Some people, too, also own guns 'just because' they can or they want to. Sort of like collecting postage stamps or (as I've said before) liking lima beans or not. I'm not worried too much about those folks. I don't hunt and I know that having a gun in the house means it is more likely to be used against a family member or oneself than an intruder. But that is not my problem. What worries me are people who feel the need to parade their fear and inadequacy in public places where there is no plausible reason to carry a gun. They proclaim 'I don't need a reason, its my right' - but that is not a reason. It is petulance and posturing. We get lots of rhetoric, of course, that there is no need to fear law abiding citizens bringing their guns to political meetings, or church services, or schools, or into bars. But it seems to me a sign of cognitive deficiency to think you need to bring guns into any of those places. Sure you can because in many cases the law allows you to do so. So what? The laws allow you to drive 7-and-a-half-miles per hour in a 45 MPH zone at rush hour too. If you are going to church to pray, do you think your handgun will protect you from God's wrath? If you are going to a political meeting, do you think your side arm makes people take you more seriously or makes your arguments more cogent. If you don't plan to use it lock it in a drawer someplace safe. If you do plan to use it, don't protest otherwise. It makes you look like an idiot. * What I am worried about is what happens when people with incredibly poor judgment bring guns to places where they are totally out of place. And one pretty good indicator of poor judgment would be bringing guns to any of the places I've mentioned above. I don't go to church. So I suppose if the faithful want to shoot one another there - or at least be prepared to do so - it is none of my affair. But now, it turns out that a place where I do go pretty regularly is allowing customers to carry sidearms. That place? Starbucks. You can read a report here at The Guardian, where the disdainful writer is not nearly disdainful enough. I need my handgun at the coffee shop because .... why? The barrista hasn't made my decaf, extra-hot, vente, non-fat, soy, mocha to my liking? Or, maybe the kid behind me in line looks dangerous? This is pathetic. Go here and tell the Starbucks brass that they are catering to idiots and that you won't spend a dime in their stores until they stop doing so. * Speaking of looking like an idiot, defending your inappropriate behavior by referring to what the founding fathers or the pioneer ancestors did (e.g., bringing guns to church, etc.) is especially dim. Those same forebears treated blacks as slaves and counted them as 3/5 of a person. They denied women the vote. It is a sign of progress that we no longer do those things, among many others. Make the analogy.